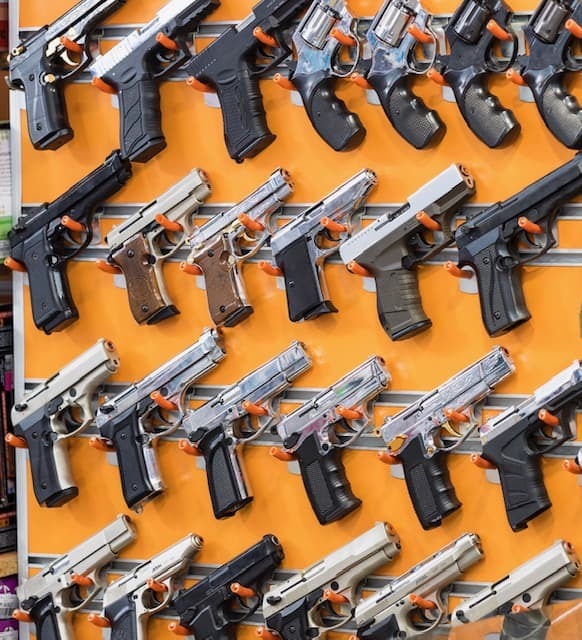 Why is it so intimidating to go into gun shops? 5 tips to make it less intimidating! Let’s face it- this can be a downright scary experience! I know it always is for me. Or is it just me??!! I remember my first time venturing into a gun shop. I was pushing on a pull only door… then when I figured out that Captain Obvious piece— I nervously walked in and the chimes went off. I felt very conscious of my being there. It felt like all eyes were piercing right through me. I meandered around looking trying to process the hundreds of guns. I wanted a sales person to assist me, but I only seemed to garner glares as I walked the length of the seemingly endless counter. When I was finally approached, it wasn’t the typical customer service experience I was used to. He asked me what I wanted to see? The trouble with this question was I did not really know. All I knew was I wanted or I thought I wanted a gun. I did not know the particulars- caliber, size, single or double stack magazine, round capacity, brand, American made or foreign made, what brand was best for my uses, if I wanted compact for concealed carry or home defense, which guns were better for the different applications. I just did not know I needed to know all of that before I could shop. Who knew there was so much to this? You walk in and there are racks and cases of weapons in every caliber and size- enough to hold off a small army. The sheer number of guns is a little overwhelming. I literally start feeling my palms sweat and I get a little anxious. It feels like I am about to hyperventilate. 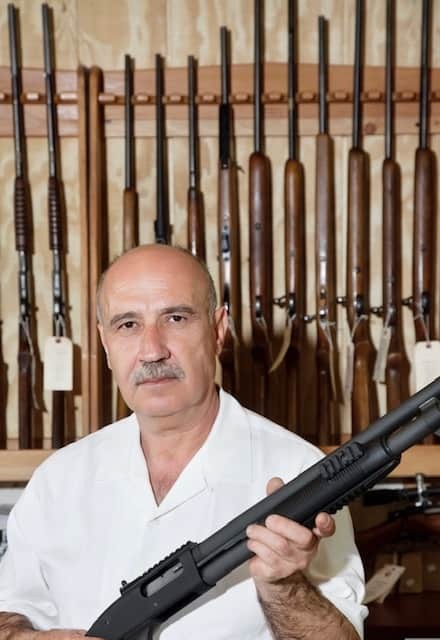 Some gun shops even come with even scarier looking dudes behind the counter that do not exactly look like friendly customer service is their forte. These are not exactly Starbucks barista’s—they all seem to have big bulging guns strapped on their hips, fu Manchu mustaches and bobbed wire scars from ear to ear. How was that for imagery?! These guys are used to dealing with hardened gun fanatic types, that know how to tear down any gun and reassemble it in their sleep. 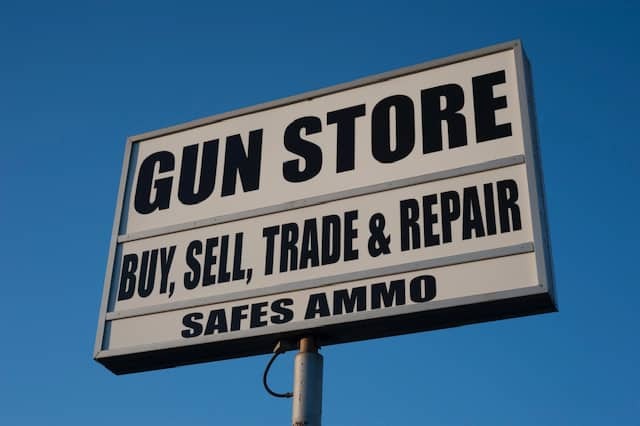 Their typical customer does not exactly need a lot of hand holding—it is more like a bonding over the gun of choice—than helping and explaining so that the customer can make an educated choice. So when a novice comes in, green and clueless, it’s a shock to the eco-system. In their defense, it is like these guys behind the counter just really do not know how to relate to the person who doesn’t speak their language. Like I said earlier, hey I get it… I go in gun stores all the time and I still get that uneasy feeling. Following these five tips can make it far less intimidating! ****In Illinois – you will need a FOID card to see any gun on the gun store. Check the regulations in your state. Springfield XDM Compact .40 S&W (my personal favorite—great feel in the hand, the extended clip fits the hand perfectly and the balance and weight is perfect for a larger caliber gun on a small frame. The magazine capacity is also good. 2. If you have a list of four or five guns you would like to see when you get to the counter- it is so much easier. Easier for you and the burly salesperson. You can just focus on how they feel in your hand, ask any questions you were not clear on from your research and maybe ask if they have a model you can shoot. Step 1: Determining your needs: If your gun is for concealed carry, they suggest that your concealed gun be short, small, lightweight. Step 2: Choosing between semi and revolver. Semi-autos are widely popular because of magazine capacity and slimmer profile which makes them ideal for concealed carry. They do require more proficiency and practice because they are more complex to operate. Revolvers are by far considered more reliable and simpler to use. The revolver typically has only 6 rounds before you need to reload. Step 3: Selecting the correct caliber. This choice is critical. Caliber determines the recoil you will have to manage and the effectiveness of the handgun. Basically this determines the stopping power…the ability to neutralize a threat. This also determines gun size. A 9mm can be made on a smaller frame than a .45 caliber. A larger caliber on a smaller frame results in more recoil. 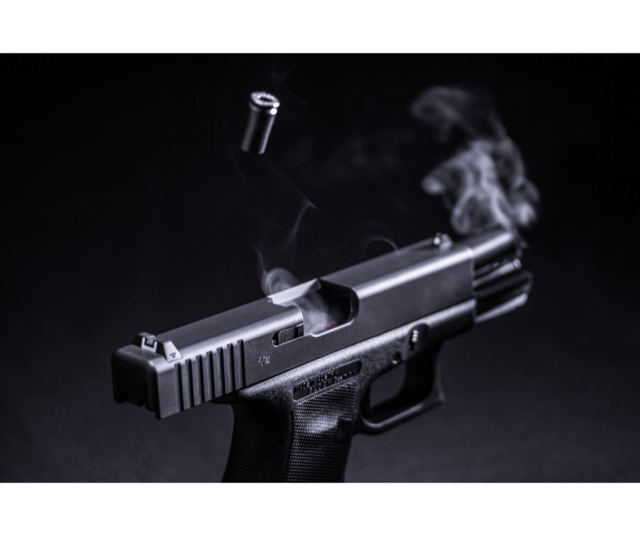 The NRA organization states that the beginning gun owner will usually shoot faster and more accurately with one of the lower recoil cartridges suitable for self-defense. Step 4: Hands-on shopping. Once you have decided on caliber, semi or revolver, you need to test fire, if possible, to check the weight and hand feel. This is essential because not all 9 mm’s fire the same. For example, a medium frame 9mm will fire, feel handle and shoot differently than a compact in the same caliber. I have purchased several guns with this method and it really is a very easy process and as stated above far less intimidating. You go in not the green uninformed buyer, but rather having some subject matter expertise and speak to the counter person more on their level. You know what you are buying and there are no surprises once you get it home. You have test fired it and feel comfortable using the gun and can predict how it will perform. And then, if you purchase through an online broker, you get the best possible price and comparison shop without driving around to multiple gun shops. 5 Best Concealed Holsters– holsters are an absolute necessity. A good one is critical! You want one that is comfortable, that conceals your firearm and the most important element—it needs to securely hold your firearm. These holsters I’ve listed provide comfort, are secure, and conceal well. Buying through these types of channels can really save some money! I’ve never seen a holster in the gun store under $30- and they usually aren’t good ones. 6 Best Concealed Purses—For the ladies, this is also another big one. It as important as having a good holster. But if you’ve ever looked in the average woman’s purse—there is some of everything in there. Not exactly where you want your gun, especially if things get dicey and you need it- you just won’t have time to look for it. Also, you really want to protect that trigger. I would only recommend a concealed purse if the gun had its own compartment aside from the clutter of the average purse. Comparison shop for bulk ammo: I CANNOT stress this enough—do not buy ammo from the range! The mark-up is ridiculous! If you plan ahead a little and order in bulk, you can find great deals. Please use these resources listed below. I have scored huge savings and ammo cost add up if you are practicing and perfecting your ability to defend yourself and home. This can be a huge expense. Eye and ear protection: like ammo—the ranges mark these mandatory accessories way up. It just makes no sense to leave that money on the table, or rather in the ranges pockets. Range Bags: A good range bag helps you stay organized, makes going to the range easier and makes you more prepared. I highly recommend these bags below. 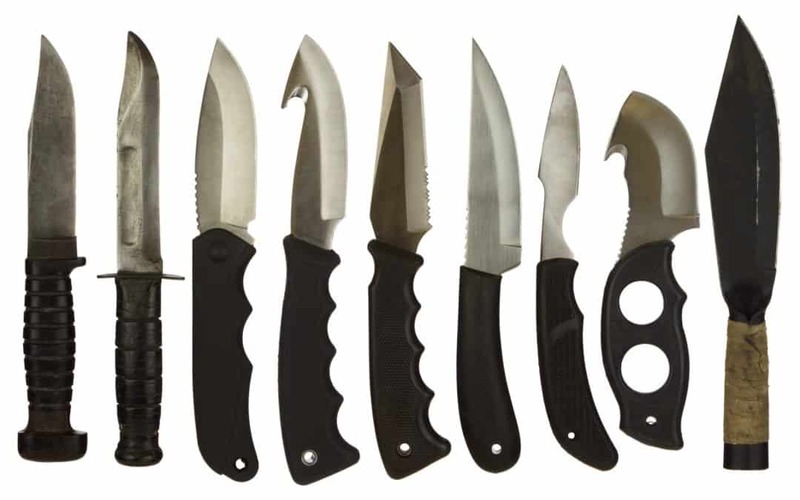 They have lots of storage and keep every thing compartmentalized while keeping your weapon(s) secured. Securing the weapon is probably the most important function of the range bag. Best Cleaning Kits: Lets face it, your gun needs regular cleaning. It’s essential for safety and reliability and operation. These kits come with plenty of apparatuses, and cleaning heads to get in the barrel and all the nooks. Again, buying online and not in the gun shop is the smartest and most economical way to buy cleaning kits. 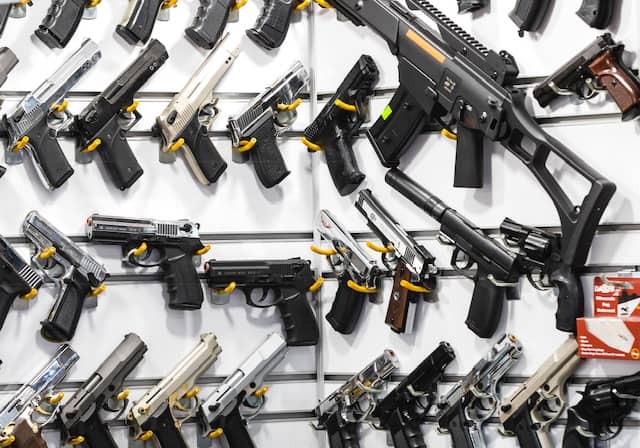 Using these tips will make you a lot smarter and better equipped when making a gun selection. Hopefully we have taken the intimidation out of going into gun shops! Thank you so much!Glad you found it useful. Thank you Ye. I appreciate your candid feedback. Another example of, “I thought I was the only one.” Thanks for a great article and sharing my pain. I’m glad to know it’s not just me! This is such a comprehensive article with great recommendations and tips! Definitely bookmarking this. I’m glad you enjoyed it and that it added value!